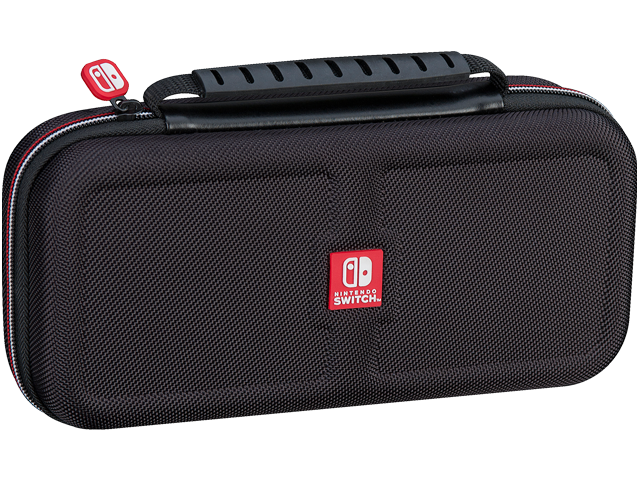 This Deluxe Travel Case holds and protects a Nintendo Switch™ console. A padded divider protects the console screen and zippered mesh pockets hold extra game cards. Included are 2 Game Card cases; each game case holds up to 4 Nintendo Switch game cards. Also included are 2 Micro SD Card cases; with each case holding up to 2 Micro SD Cards.